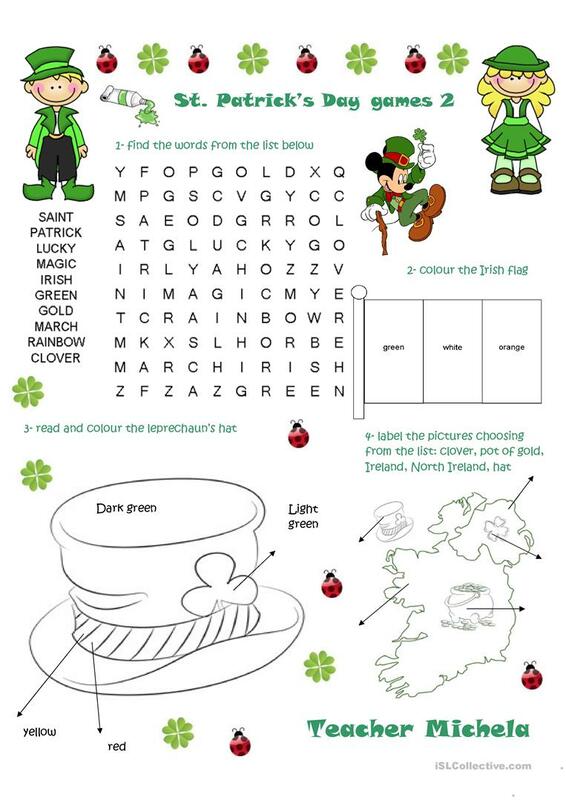 There are different activities: a wordsearch useful to improve the language for the festival, colouring activities about the Irish flag and the Irish hat,and label the picture in the map. I hope it can be useful and you like it! The above downloadable worksheet is a great resource for high school students, elementary school students and students with special educational needs, learning difficulties, e.g. dyslexia at Elementary (A1) and Pre-intermediate (A2) level. It is useful for strengthening your groups' Reading and Writing skills. It focuses on the theme of St.Patrick's day.